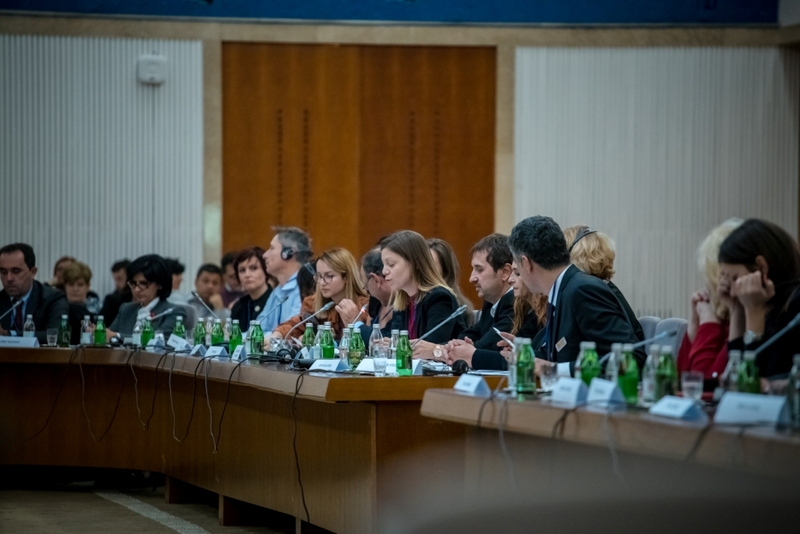 Launching regional conference within Social Dimension Initiative (SDI) “Leaving No One Behind in the Process of Western Balkans’ European Integration” was held on November 6th 2018 in Belgrade gathering, for the first time, all seven WB ministers in charge of social policy and more than 150 participants from the region, but also representatives of European and other international institutions and EU member states. SDI is implemented by ASB offices in South Eastern Europe together with local partners and completely supported by the ASB Deutchland. Its aim is to promote core European values at local, community level and underline the importance of social dimension of EU integration that cares for the most vulnerable in WB societies. The ministers, who previously expressed their support for the Initiative by signing MoUs with ASB SEE, also expressed their readiness to strengthen social and employment policies in both conception and implementation in cooperation with all other stakeholders while also tackling issues in regional cooperation framework. 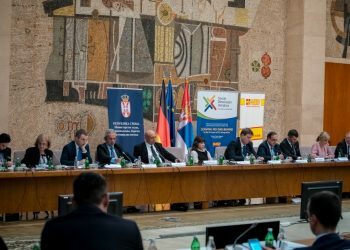 The Declaration on Improving Social Policy in the Western Balkans was signed expressing their commitment to step up efforts in “combating social exclusion and discrimination, promoting social justice and protection, increasing equality between men and women, and boosting solidarity between generations and protection of the rights of the child”. Minister Vesko Drljaca from Bosnia and Herzegovina declared on this occasion that it is extremely important document that represents clear commitment to deliver on the issues discussed at the conference and go from words to deeds with maximal support of the international partners. „I believe there is great need for cooperation between WB countries in this sector in order to share experience and good practices but also to develop joint initiatives and standards. In this way WB would gain more attention and support from the EU and be able to improve social and employment policies as well as overall EU accession prospects” commented Minister Purišić from Montenegro. “It is important all ministers are present. We speak a lot about the accession process, but we have to speak about the people, about social aspects so that citizens have a feeling something positive is happening and see that the governments are committed. Cooperation is crucial, we can learn from each other and especially reach out to the small communities not just big cities. 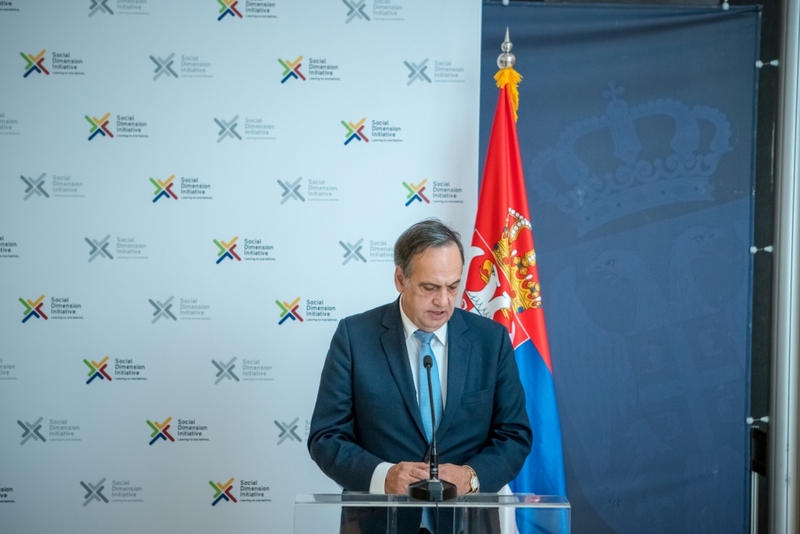 Finally, there is civil society and it must be involved in all processes as they are providing concrete support on the ground”, said Knut Fleckenstein MEP and Chairman of the Federal Board of Arbeiter-Samariter-Bund e.V Deutschland. Presence of more than 60 CSOs from the region at the Conference was essential for the initiation of meaningful dialogue regarding social and employment policies improvement, which is expected to continue at national gatherings in 2019. Important actor in strengthening SDI is EU as well as EU member states, who already contribute significantly to the improvement of life of the people of WB. 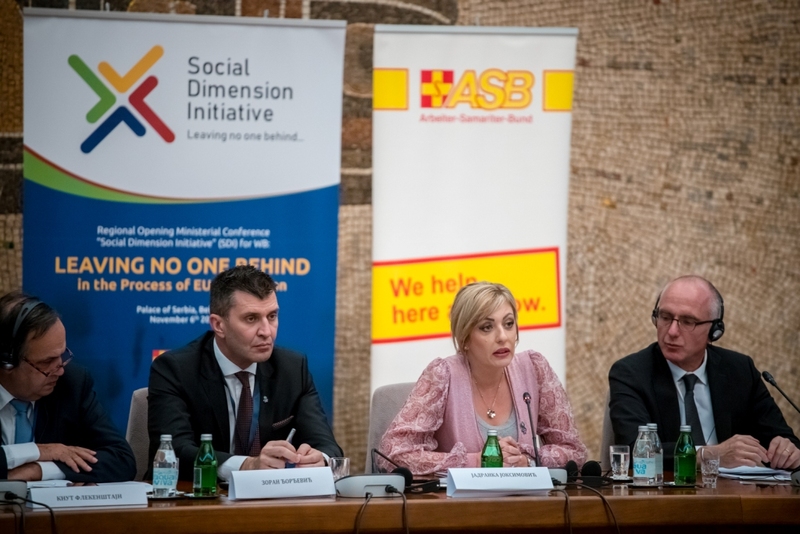 “We are encouraged by the Social dimension initiative, lunched by ASB, German humanitarian organization, and supported by all western Balkan’s ministries. I would like to thank all minister, and also Knut Fleckenstein in person, involved for showing determination for improved governance and institutional capacity and for understanding the importance of regional cooperation in social and employment policies” said Mr. Johannes Hahn, Commissioner for European Neighborhood Policy and Enlargement Negotiations in a Video message. Higher living standard, better quality of life, increasing of the social protection and of everything that makes dignified life are usual expectations from the EU integration process, said minister for EI in Serbia Mrs. Jadranka Joksimovic, at the closing panel, adding that sustainable models of cooperation are one of the imperatives of European integration. SDI will deliver in the following months concrete results, such as creation of the joint regional portfolio of up to 200 short project proposals from 65 selected municipalities in 6 WB countries, which will be a very solid foundation for further financial support to the local projects by the donor community.